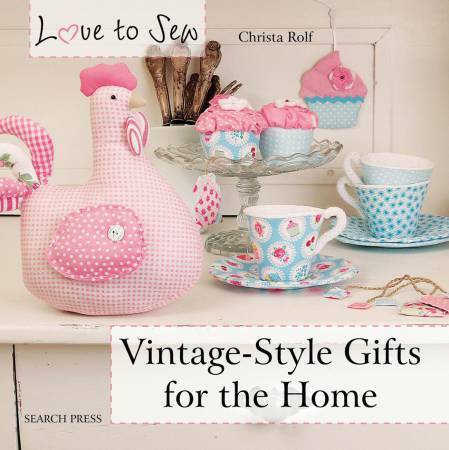 These elegant designs from renowned crafter Christa Rolf feature pretty vintage patterns in a wonderful shabby-chic style. Choose from pillows, quilts, mug rugs, bunting and a host of other delightful decorations. Each project is accompanied by beautiful photography, step-by-step instructions and full-size templates making them perfect for the absolute beginner as well as the more experienced sewer who may be looking for some vintage inspiration.